The Wimbledon Guardian have today run a front page article about the threat to St Helier, but recent developments have been a little confusing. For clarity, we have put together a brief timeline of events over the last year or so. In January 2015, Daniel Elkeles started work at Epsom & St Helier Trust, as Chief Executive. Mr Elkeles came to the trust fresh from his previous role in NHS North West London, as "Senior Responsible Officer" for the Shaping a Healthier Future programme, which was described as "The biggest hospital closure programme the NHS had ever seen". "This is a Long term plan and any of the options being looked at here are many years away from being implemented and will need a lot more discussion, agreement and consultation before they happen"
On the 26th of June 2015, The Epsom & St Helier Trust released a document they called their "Estates Review". This document appears to have been put together to discredit the buildings at Epsom, St Helier and Queen Mary's hospitals, and make the case that they are not fit for purpose. The document contained many contradictory statements, and offered little in the way of evidence for this "not fit for purpose" claim other than some photographs of peeling paint and old windows which have not been replaced since the hospital opened. You can read about some of the contradictions and irregularities with this document if you click here. The original closing date for comments on this document was the 30th of September 2015, but this was quietly extended to the 31st of December 2015 - presumably because not enough people had commented, which in turn may be because sections of it were unreadable. On the 24th of September, KOSHH attended the Merton Clinical Commissioning Group (CCG) Annual General Meeting (AGM). As you can imagine, we asked questions of the CCG at this meeting, including questions about the "Estates Review" document. You can read our report on the meeting by clicking here. 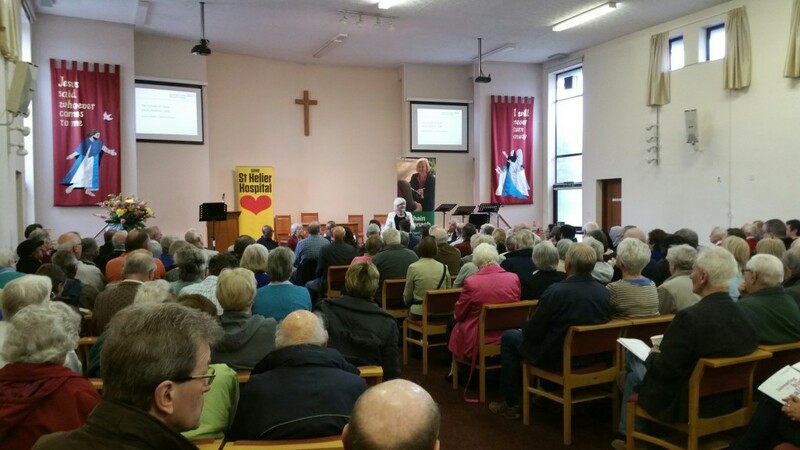 On the 17th of October 2015, Siobhain McDonagh held a "Coffee Morning" at Morden Park Baptist Church. You can read our report on the event by clicking here. In the invitation for this event, Ms McDonagh urged people to come along to "show how many of us want the hospital to stay", but at the event, KOSHH campaigners were asked not to hand out leaflets outside the entrance to the Church, and Ms McDonagh did not ask a single challenging question of Mr Elkeles, and seemed to actively discourage those present from doing so. In reality, the meeting served mostly, to enable Mr Elkeles to give his presentation, and claim a higher level of "engagement" with the public than he would otherwise be able to manage. This was extremely odd behaviour for an MP who, when an election is looming, has often claimed to be "campaigning" to "Save St Helier". Siobhain McDonagh MP's "Coffee Morning" - click the image to read our report on the event. 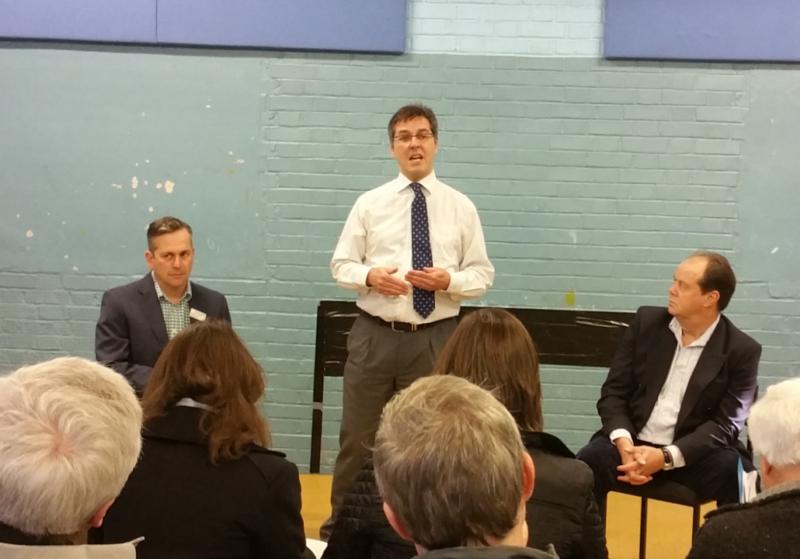 On the 28th of November 2015, The MP for the neighbouring Wimbledon constituency, Stephen Hammond held a similar "Coffee Morning" event at The Endeavour Club. Again, KOSHH campaigners were there prior to the event, offering leaflets to passer's by, including to Stephen Hammond himself - who declined, and Cllr Oonagh Moulton, who also declined and said that St Helier should be demolished, because the buildings at St Helier were "Victorian" (for a building which opened in 1940, this is a wildly inaccurate claim). Again Daniel Elkeles and Dr James Marsh were present to give their presentation aimed at persuading those present that the buildings at Epsom, St Helier, and Queen Mary's hospitals were "not fit for purpose", and that instead we would prefer a single "shiny new" centre - again, no evidence to back up the "fitness for purpose" claim was offered, and again KOSHH campaigners were there to ask difficult questions, for example, one KOSHH campaigner asked Mr Elkeles if he could give an assurance that any new build would not be funded by PFI (Private Finance Initiative). No direct answer was given, so the question was asked again - a total of 3 times and on each occasion Mr Elkeles was unable to give a satisfactory answer. On the 22nd of December 2015, when most of the public were distracted by the festive season, the Department of Health announced the new "Sustainability and Transformation Plans" (STPs). 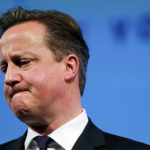 This new scheme will be yet another, massive re-organisation of the entire English NHS. Every NHS body and local authority has become part of one of 44 new ‘Sustainability and Transformation Plan footprints’ covering the whole of England – including 5 for Greater London. These are “geographic areas in which people and organisations will work together to develop robust plans to transform the way that health and care is planned and delivered for their populations”. Each comprises around 4 or 5 CCGs, regional or local authorities and an average population of 1.2m. Our area will fall into the South West London "footprint", comprising Sutton, Merton, Wandsworth, Croydon and Richmond. achieve this by implementing new models of care as set out in the NHS England Five Year Forward View. You can read more about STP by clicking here. On the 29th of February 2016, KOSHH announced the rumour that the Epsom & St Helier Trust was due to end the 2015/16 financial year with a massive deficit of £28.4 million pounds. This was later confirmed in the local press on the 18th of March 2016, where it was revealed that the Trust had taken out a £25 million loan from Public Health England, and the Trust said that the "biggest reason for the deficit" was "pay increases" - although we are certainly not aware of any significant pay-rises given to frontline NHS staff. On the 19th of March 2016, The Epsom and St Helier Trust held an "Estates Engagement Event" at St Helier Hospital. You can read our report on the event by clicking here. When the session began, not a single MP was present. Siobhain McDonagh did eventually show up, nearly an hour after it started, meaning she missed the entire presentation at the start of the event. 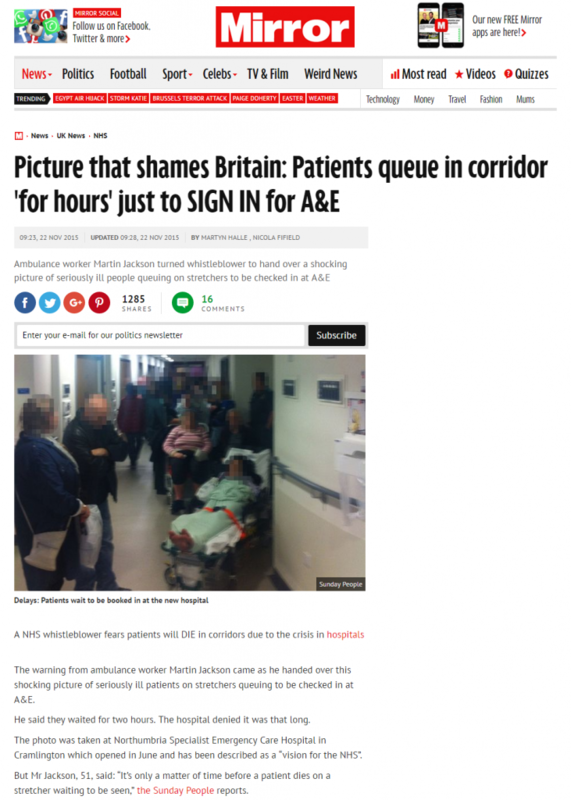 But we were appalled that Tom Brake MP (in whose constituency St Helier stands), Paul Scully MP (who is the MP for the neighbouring Sutton constituency, who found the time to celebrate the opening of a new suite at a private hospital in the area), and Stephen Hammond MP for Wimbledon were not present. 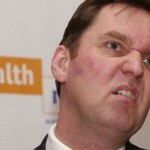 Mr Elkeles explained during his presentation that on the back of their "Estates Review" document, they had been given permission by NHS Improvement to submit a Strategic Outline Case, and that they had to do this by June 2016 - coincidentally the same month that the new STP plan to eliminate all deficits in all Trusts and CCGs in our area, must be submitted. During the presentation, a slide was shown, explicitly stating that the Trust's "Aspiration" was something along the lines of the Northumbria Specialist Emergency Care Hospital. This is a relatively new "centre", was built as part of a PFI venuture, and provides only A&E, Maternity, and short-term paediatrics - and crucially none of the other services normally provided in a "District General Hospital". It has been in the press for all the wrong reasons, including this shocking piece by the Mirror (click the picture below to read this extremely relevant article, all about this "Super Hospital" which the Trust have described as their "aspiration"). In order to justify building this new "centre", the A&E units at Hexham, Wansbeck and North Tyneside hospitals were "Downgraded", and these units no longer accept serious cases, and instead offer a "walk-in" service for "less serious conditions". On the 6th of April 2016, very sadly, Cllr Maxi Martin passed away. KOSHH was extremely saddened by this news, as we were always fans of Cllr Martin. She tended to work very hard, tell it like it is, and ask hard questions of the people in power, an example of this was at the Merton Clinical Commissioning Group (CCG) Annual General Meeting (AGM) on Thursday the 24th of September 2015. This sad event has triggered a byelection for Merton's St Helier ward in which Cllr Maxi Martin was a councillor. On the 21st of April 2016, KOSHH published this piece on our website. Based on the Trust's own figures, it would seem that if the reported plan to close Epsom, St Helier, and Queen Mary's hospitals, and if in their place a single "800 bed" centre would be built, this would have a devastating impact on the number of hospital beds per thousand people served - at best causing this area to rank lower than Colombia (based on a 2013 OECD study). A newbuild around the St Helier site for acute services with services remaining at Epsom. A new build in partnership with the Royal Marsden on their site in Sutton for the acute services with services remaining at both Epsom and St Helier." Note that none of this text directly mentions any plans to consult, but it is probably a reasonable assumption to make on the part of Siobhain McDonagh MP, that whichever option is decided upon by the Trust, some form of "Consultation" would be carried out, and given Mr Elkeles' comments on the 19th of March 2016 about the need for them to produce a "Strategic Outline Case" to NHS Improvement in June 2016, it is likely that any "Consultation" would not take place before then. But, it seems a little odd that Ms McDonagh did not feel the need to raise her concerns at either her "Coffee Morning" event with Daniel Elkeles, or at the "Estates Engagement Event", and even when Mr Elkeles had emailed her on the 27th of April, it still took a long time before she raised this matter. The timing of this is particularly unfortunate since the Labour Party are currently campaigning for the St Helier ward byelection. It is also very worrying that she has failed even to mention the enormous risks posed by the STP programme, which is a tool to enact the "privatising" NHS England, 5 Year Forward View. 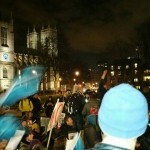 A number of KOSHH campaigners are especially sensitive to matters like this, as they had previously been a part of a "campaign group" called the "Lower Morden Resident's Save St Helier" group, prior to the local elections in 2014. This group was set up by a lady called Sally Kenny, who later became Councillor Sally Kenny. This campaign group met at least monthly, and was briefly very active, but there has not been a single meeting of the campaign group since Cllr Kenny was elected in 2014. We certainly hope that Ms McDonagh's renewed "interest" in St Helier Hospital is not another cynical electoral campaigning ploy, and we hope that instead she will be working hard to oppose the worrying "STP" process, and campaign for the retention of services at Epsom and St Helier after the byelection. 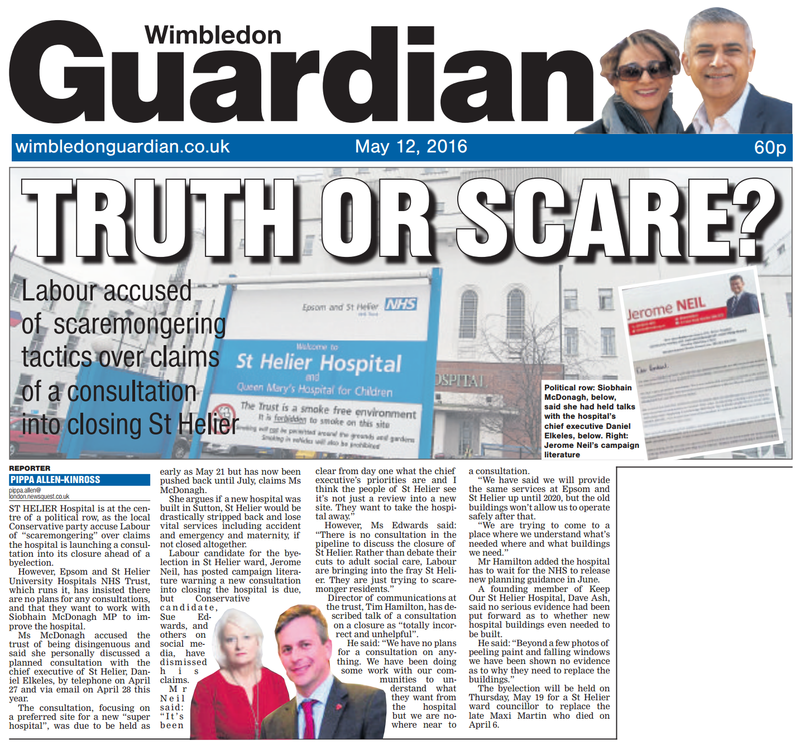 On the 12th of May 2016, the Wimbledon Guardian ran a full front page story on the latest about St Helier (click the image below to enlarge). "The NHS in both South West London and Surrey Heartlands are working with their local authorities on a long term plan for local services - all NHS regions across the country are required to do this, and each region is producing a five-year plan called the Sustainability and Transformation Plan (STP). This work is being jointly carried out by local clinical commissioning groups (CCGs), hospitals, community health services and mental health trusts, with the support of local councils and members of the public. In order to ensure that our estates review complements the STP vision, any further engagement on our estate will wait until this process has been completed." The above statement says that "there are no plans to close St Helier Hospital", and then spends the next six paragraphs attempting to persuade the reader that the current buildings at the Trust are not fit for purpose, and talks explicitly about "Replacing our buildings". It is particularly notable that the statement from the Trust specifically mentions their "commitment" that until 2020, "A&E", "Maternity" and "Inpatient Paediatrics" will continue to be offered at Epsom & St Helier (a claim which the Trust are not able to make, because this is really up to the local CCGs to decide). These three services are the only three services which are offered at the "Northumbria Specialist Emergency Care Hospital" - which the Epsom & St Helier Trust have publicly stated is their "Aspiration" for the future provision of services in our area. We know from the BBC report from over a year ago, that the Trust were in talks with management consultants, Deloitte, and that the "preferred option" then, was to close Epsom, St Helier, and Queen Mary's Hospitals, and build an "800 bed centre" on the former Sutton Hospital site. Nobody from the Epsom & St Helier Trust has ever refuted this report, or said that it was untrue. The Epsom & St Helier Trust, and indeed all hospital Trusts, and all CCGs in the South West London "STP footprint" (area), must submit a plan for all of them to reduce their "deficit" to zero, in line with the requirements of STP (Sustainability and Transformation Plan). All of the Trusts in question currently have a significant deficit, so the cuts required will be likely to be lethally deep. Over a year ago, the BBC reported that the Trust had employed Deloitte to put together a plan to reconfigure services in this area, and at that time the preferred option was to close Epsom, St Helier and Queen Mary's hospitals, and build an 800 bed "centre" on the former Sutton Hospital site. The Trust have never refuted this claim, or suggested it was untrue. The Trust themselves have stated that their "Aspiration" is to build something like the Northumbria Specialist Emergency Care Hospital. This "aspiration" hospital offers only A&E, Maternity and Paediatrics - nothing else, and has been in the press for all the wrong reasons. 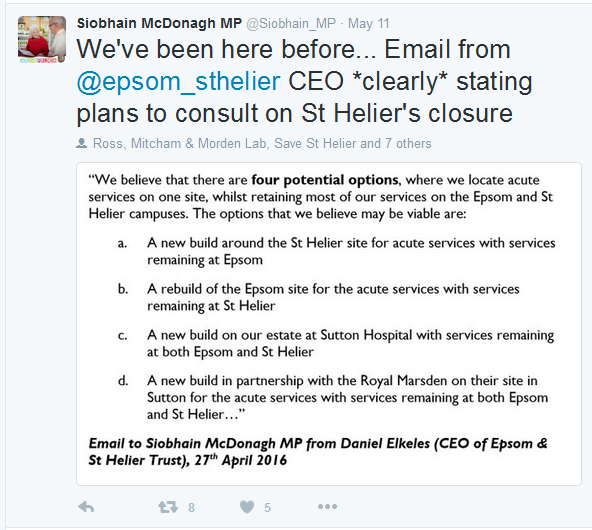 According to the tweet by Siobhain McDonagh, the Trust's email to her (which again was very carefully worded) gave four options, all of which resulted in the removal of "acute services" on one or both of the Epsom and St Helier sites. Could it be that the Trust are not being entirely open and transparent about this?